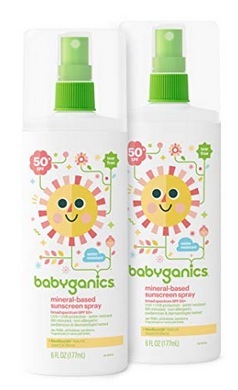 Home /Blog/Babyganics Baby Sunscreen Spray, SPF 50 (Pack of 2) only $11.37 shipped! Planning a summer vacation? Don’t forget to stock up on sunscreen! Grab this Babyganics Baby Sunscreen for a great price right now. Amazon has this Babyganics Baby Sunscreen Spray, SPF 50 (Pack of 2) for only $11.37 shipped when you clip the 10% off e-coupon and checkout through Subscribe & Save! That’s like paying only $5.68 shipped per bottle!